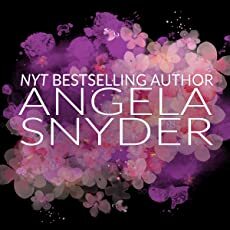 Angela Snyder is the author that I’m talking about and her writing is raw and intense, hot and wild and with all that matters. Devious is her latest release and it’s included in the Wanted Anthology and it’s the first book from The Deviant series. This book explores the lifes of Victoria and Damon. Victoria was a sweet girl that lost so much one day. Not only had she lost her mother on an accident but she had also lost her best friend due to a fire. Since that day, she’s not the same sweet girl. But some of that is because of her father. He’s a ruthless man that take no prisoners. Years later she’s not the same. Her father hasnt been present for her but money can pay everything right? How can she be free? How can she find happiness when she feels so lonely? Seriously…. Seriously… It’s over?? Like this?? The plot is superb, very well written, super engaging, suspenseful and intense. Each scene was super detailed and made reading this book so much more appealing. The interaction between the characters is perfect despite all the darkness that surrounds them. How can you move forward when your past keeps keeping you back? How can you give your heart when your soul is super black? This book gives us love, loyalty, friendship but all is blackened due to crime, betrayal, deceive and lies. Seriously Angela?? Why? Why? Why? Where’s book 2? Angela Snyder is a New York Times bestselling author. Angela grew up in a small town in Pennsylvania with a passion for reading and writing stories since she was a child. She recently decided to pursue her lifelong dream and published her debut novel, Vampire Next Door, in 2013. Angela currently lives in an even smaller town in Pennsylvania with her husband and her very spoiled Golden Retriever. Thank you so much for the AMAZING book review!